NEW YORK, Mar 14, 2011/ — When the spring comes around it’s time to ditch those dull blacks and grays. Color looks set to dominate footwear next season with many styles containing four, five, even six different vibrant shades. This is not a trend for the faint of heart! These Dora platform heels in hot pink with a gorgeous soft suede ankle detail will definitely not go unnoticed while these bright Loriblu peep toes with multicolored ankle straps are both right on trend and, with all that ankle support, surprisingly comfortable. 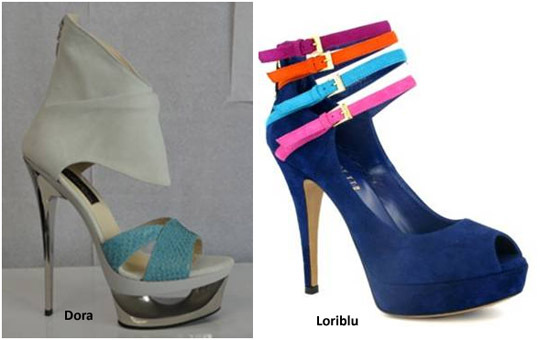 These styles of Dora and Loriblu are available at the Ruia Shoe Boutique located in Soho at 65 Mercer Street, New York NY 10012.